We grow up in the company of so many good books. Some of these books spark our imaginations, others take us away to faraway lands like the Enchanted Wood, Narnia or even to a sailing adventure in the English Lake District. Some books even go so far as to mould our personalities. Which child has not met Jo from Little Women, Anne from Anne of Green Gables, Elizabeth from Pride and Prejudice and has not wished to integrate a slice of their strong characters into their own persona? Here is a list of books from my reading past that are set in alphabetical order. I hope this list brings back many sunny memories. 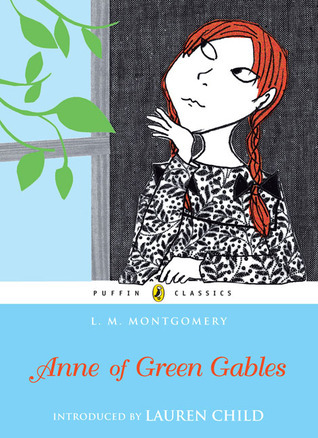 A is for Anne of Green Gables. The memorable tale of an orphan’s upbringing in the picturesque Prince Edward Island. Ever since I saw the Kevin Sullivan dramatization of the tale it’s been my dream to visit there. I’ve enjoyed all the books in the series including Anne of Avonlea, Anne of the Island, right upto Rilla of Ingleside. B is for Ballet Shoes by Noel Streatfeild is the first book in her ‘Shoe’ series. Ballet shoes tracks the lives of three adopted sisters Posy, Pauline and Petrova Fossil as they follow different paths on and off the dance stage. C is for The Chalet School. The Chalet School books are now nearly forgotten treasures. They trace the growth and migration of an English boarding school originally started in Switzerland and span many generations of schoolgirl antics. I own many of them- tattered tales of feuds, dramas and life’s lessons. D is for the Darling Buds of May and Daddy-Long-Legs. The Darling Buds of May by HE Bates tell the tale of Pop Larkin’s exploits in rural Kent. The books in this series are light-hearted, entertaining and display a ribald sense of humor. Daddy-Long-Legs is a book to be re-read from time to time. E is for the End of the Affair. The classic by Graham Greene describing the relationship dynamics of three characters set against the backdrop of the Second World War in London. F is for the Five Find Outers. A wonderful entree for children into mystery stories. All the books in the series by Enid Blyton have nice believable plots. The Mystery of the Secret Room is an example of a wonderful locked room mystery. G is for Gone With the Wind. Margaret Mitchell’s popular novel of civil war in the USA. When I was younger I used to exclusively read the parts revolving around the romance of Scarlett O’Hara and Rhettt Butler but now that I have ‘matured’ (at least i would like to think so) the depiction of the civil war greatly interests me. H is for Hickory Dickory Dock. What childhood list is complete without a good old Agatha Christie? Poirot is my favorite detective although I like the Miss Marple plots more. I is for the Island of Adventure. The very first full-length book lacking pictures that I read was the Valley of Adventure. This was the first time I learnt about stalactites and stalagmites and Atlantic puffins. It has taken me several years to actually see these natural wonders in person but I owe interest to these subjects due to this book. The Island of Adventure is of the same series. All of them are cracking tales. J is for Jane Eyre. The story of the passionate love of Jane Eyre a young governess and her employer Mr. Rochester. 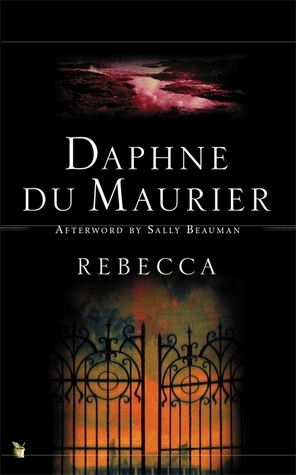 The book has certain gothic elements but is surprisingly modern in its depth of passion and sexual tension. K is for What Katy Did. Susan Coolidge wrote a series of books describing the coming of age of Katy Carr and the maturation of her character through a series of unfortunate life events. I really enjoy What Katy Did Next, a later book, as it describes in lovely detail a grand tour of Europe that Katy takes with her benefactress. L is for Little Women. I have an obsession for this book. I cannot describe the hours of torment I lived through as a child, despairing over Jo’s rejection for Laurie. I could really never justify how Laurie could turn around and marry Jo’s little sister Amy. As for Prof. Bhaer- I could not bear him. Later I learnt L.M. 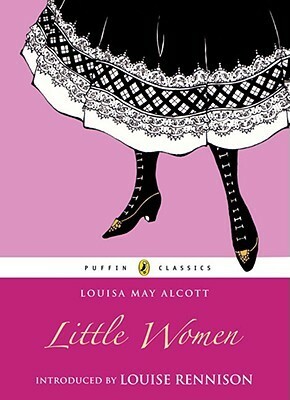 Alcott had been instructed by her publishers to write a tale for young girls much against her better judgement. As a rebuff, however, she refused to give the story the trite, conventional happy ending that everyone wanted and expected. M is for My Family and Other Animals. A sun-soaked boyhood tale of a young boy’s unconventional upbringing on the island of Corfu. 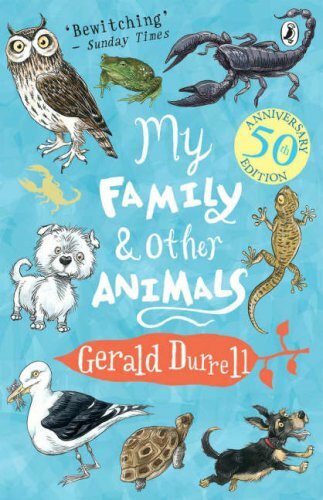 The animals he collects on his wanderings are the main characters in the book although his family are the stars of the show. This is such a happy book. N is for the Chronicles of Narnia. How delightful to step into the back of an old wardrobe and emerge into a frozen magical land. We meet Peter, Susan, Edmund, Lucy, the White Witch and the loving image of Aslan in a classic battle of good against evil. O is for If Only they Could Talk. My favorite veterinary surgeon James Herriot as he goes up and down the Yorkshire Dales in his run-down car in all seasons and especially in the middle of the night. I love all the stories in this series. I would gladly read them again and again. Q is for Lady of Quality. Georgette Heyer has written so many excellent novels centered around Regency romance. Her detective novels are pretty sharp too. S is for Swallows and Amazons, The Secret Garden. 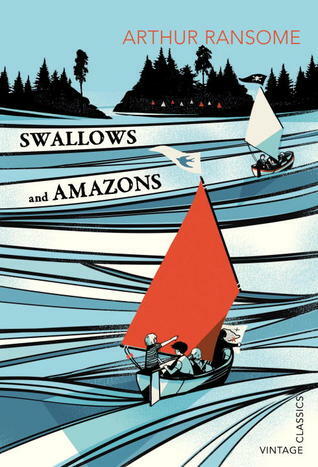 I read Arthur Ransome’s Swallows and Amazons series when very young and have had a life-long love for the English Lake District because of it. Which young child wouldn’t want to sail away to an uninhabited island and charter new territories whilst tackling angry pirates? All the books in the series are celebrations of childhood curiosity and adventure. The Secret Garden by Frances Hodgson Burnett along with the Little Princess are wonderful stories that capture childhood imagination. T is for Tess of the D’Urbervilles by Thomas Hardy was a controversial novel for the time it was published and challenged the sexual morals of Victorian England. U is for Up the Faraway Tree. You may have noticed frequent references to Enid Blyton in this post but this is perhaps my most favorite series of hers. The Faraway Tree stories have the most delightful imagery- they are a wonder to read. Moon-Face, Dame Washalot, Silky the fairy and Saucepan Man are endearing characters. V is for How Green was my Valley. A beautiful, beautiful book with such tender pathos. I love the black and white film based on the book as well. W is for Winnie the Pooh. The characters in Winnie the Pooh are so easily identifiable in real life that the stories ring very true even though they take place in a child’s world. My favorite character is Eeyore with his constant pessimism. X is for The Box of Delights. Do read this book around Christmas. It is a wonderful fantastical story of the adventures of Kay Harker and the powers of the Box of Delights. Y is for The Diary of a Young Girl. Poignant, shocking and a must-read on everyone’s book list. Z is for the Prisoner of Zenda. Swashbuckling drama at its very best. One can almost imagine an Errol Flynn like character leaping out from the pages of the book. Well- there is my very long list of childhood treasures with many noticeable omissions. But they will have to wait for another day and another post. Till then Happy Reading Friends.